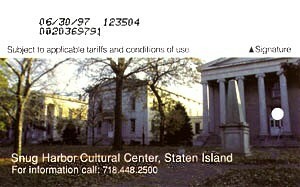 Staten Island Snug Harbor Cultural Center metrocard was issued in 1995 and had circulation of 20,000. This one of the earlier metrocards which actually promoted New York city. There are at least 2 different expiration dates known for this card and matching leaflet.